You are here: Home / How To's / How Should Exterior Shutters Fit? 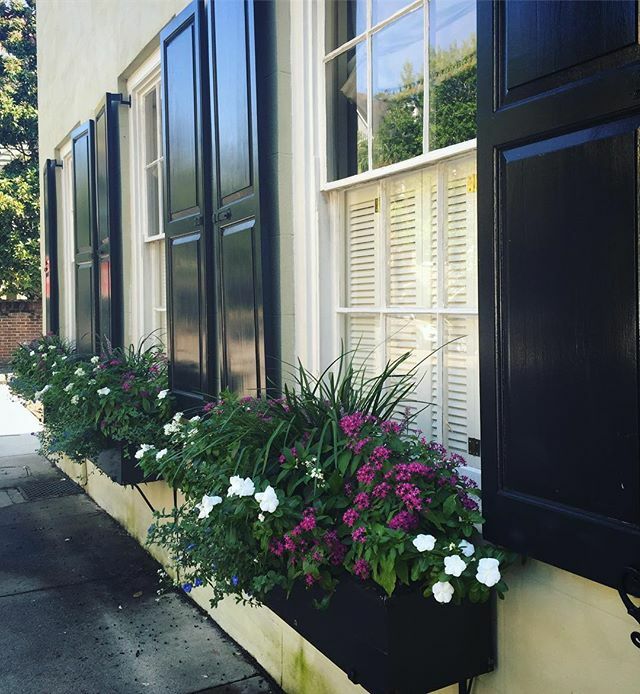 How Should Exterior Shutters Fit? 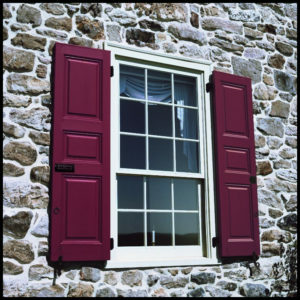 From Colonial to country, our exterior shutters will complement your home’s architecture, upgrade your exterior, and give your home your own personal touch. 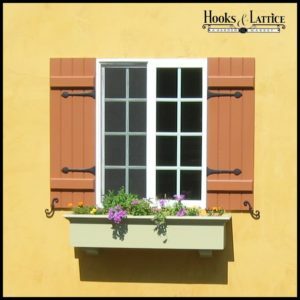 But what if you’re not exactly sure which shutters will look best on your house, or how to get the right ones to fit your windows? Let us help you in this post that answers the most common questions customers ask us when shopping for shutters. We will also point you in the direction of a few of our easy-to-use resources to keep the shutter buying process simple and straightforward. But First, How Do I Choose a Shutter Design? 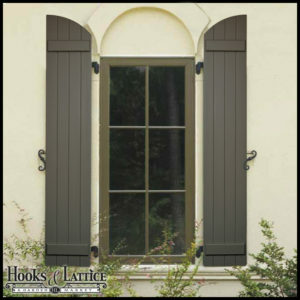 Are you looking for shutters that are fully functional or just decorative? What size and shape windows do you have? What is your home’s architectural style? You will need to answer all of these questions so that you can find shutters that match your shutter needs in both form and function. How Do I Measure My Windows for Shutters? 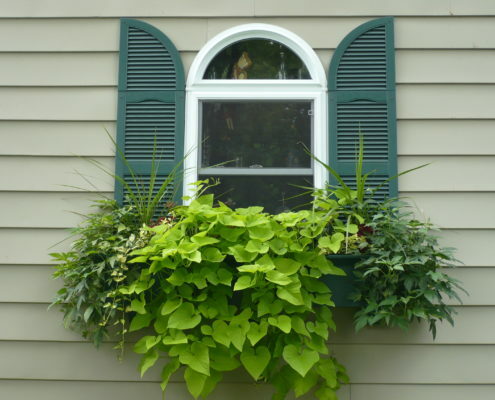 If you are replacing shutters, measure each existing panel that is currently on your window. While measuring, also keep in mind that if you want your shutters to be, or appear, functional (closing over windows without gaps or overlap), you will need to be precise when measuring and choosing the size of your shutters. 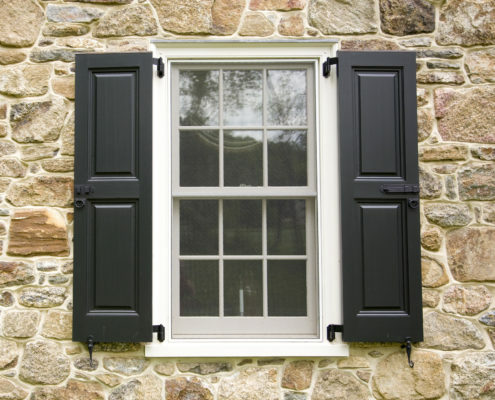 First, it is important to measure each window you will be installing shutters on; even though multiple windows may appear to have the same measurements, they may vary slightly depending on the window. 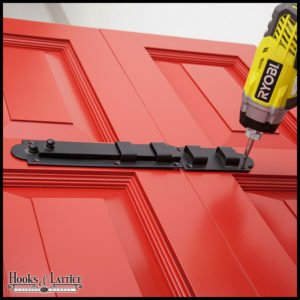 This is especially important for functional shutters to ensure that they both fit and close properly. Second, measure the height of the window in three places: down the left, middle, and right of the window. Measure from the top to the bottom of the window’s trim (and excluding the window sill). 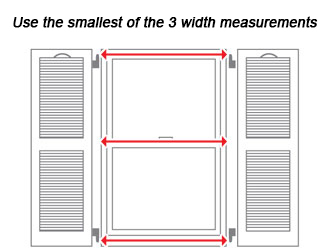 If the measurements are different, use the smallest measurement when selecting shutters to fit. Third, measure the width of the window in three places: across the top, middle, and bottom of the window. 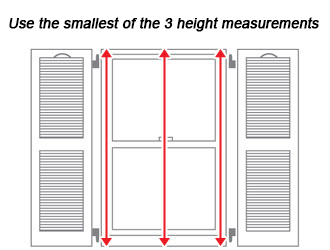 If the measurements are different, use the smallest measurement when selecting shutters to fit. Divide this measurement by two, and this is the width shutters you should choose (without any clearances). When measuring arched, or radius, windows (especially for operational shutters), you will need to pay attention to the angle of the arch when measuring shutter height. When measuring an existing shutter, first measure the “high point” of the shutter’s height from the bottom of the shutter (B) to the tip of the shutter arch (A). Next, measure the shutter’s “low point,”starting at the bottom of the shutter (C) to the lowest point of the arch’s radius (D). 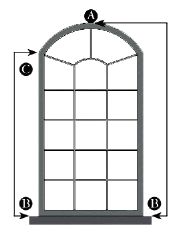 When measuring an arched window, find the window’s “high point” by measuring from the bottom of the window (B) to the tip of the window’s arch (A). 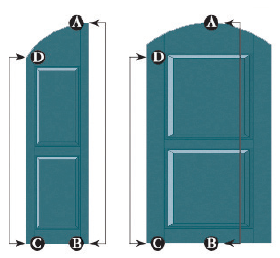 The “low point” measurement starts at the bottom of the window (B) and ends at the low point of the arch’s radius (C). How Do I Hang My Shutters? 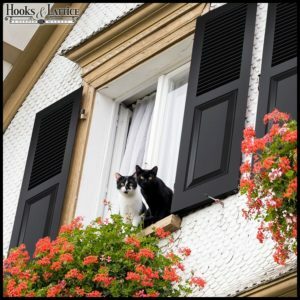 Next to shopping for the right shutter, and measuring windows to make sure they fit, many of our customers want to know exactly how to install shutters on their windows. The first step of the installation process is determining what type of exterior shutter hardware you will need. This is based on whether your shutters will be functional or merely decorative. For functional shutters, you will need the following stainless steel hardware: pintels, hinges, hold backs, and slide bolts. 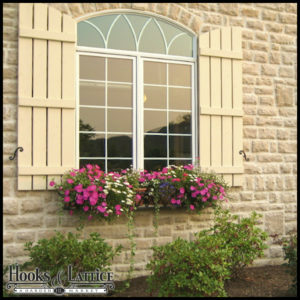 For decorative shutters, you will need the following hardware: faux hinges and “S” hold backs (optional). 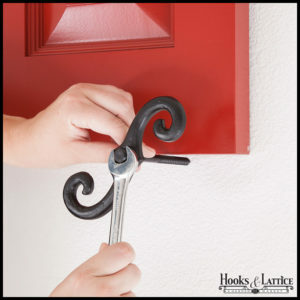 Choose from our selection of aluminum, iron, vinyl, and plastic hardware. The following is a basic overview of the shutter installation process (for a more detailed description, see our shutter hardware buying guide. Place the shutters on a flat surface and install the hinges on the top and bottom panels of the back of the shutters. Flip the shutters over and install the side bolts (for functional shutters). 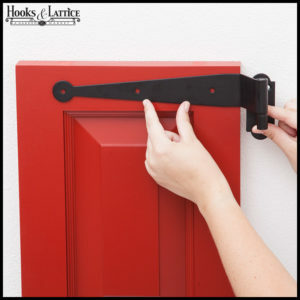 With another person, place both shutter panels in the window opening to check that they fit the space correctly and that the hardware is installed properly. 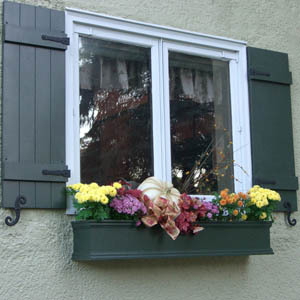 With the shutters held in place, install the pintels, and then carefully remove the shutters from the windows. Slide the hinges on the pintels to hang your shutters. 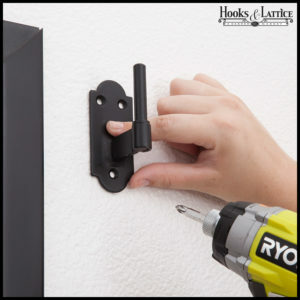 Once the shutters are in place, install your hold backs.